Good Morning. 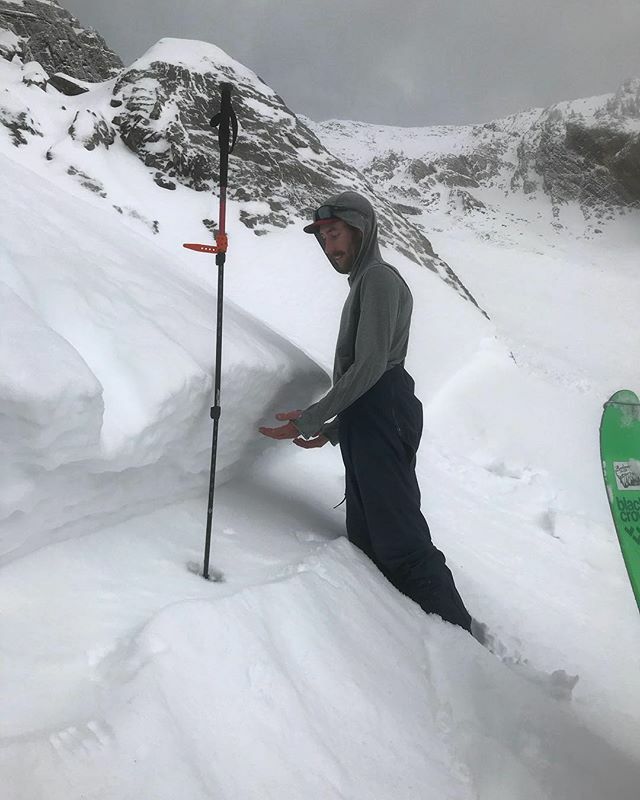 This is Doug Chabot with pre-season avalanche, weather, and event information from the Gallatin National Forest Avalanche Center on Monday, November 5th. This information is sponsored by The Friends of the Avalanche Center and Grizzly Outfitters and will be updated on Wednesday. Ski areas are not conducting avalanche control and Big Sky does not allow uphill travel. Since Saturday morning the mountains have picked up 8-12” in the northern areas and 6-8” in the south. Winds blew 20-40 mph from the west with gusts into the 60’s. Snow has tapered off but looks to pick up this afternoon into tomorrow. The rest of the week is forecasted to be snowy and cold with daytime highs only reaching the high 20s in the mountains. The freezing line fluctuated around 7,500-8,000’ which is where many of the weather stations sit. Higher elevations got snow, while lower saw slushy rain. In the last 5 days the Bridger Range has gotten 4.2” of snow water equivalent, 1.6” in the last 24 hours. If this was mid-winter that would be a 4-foot snow storm, but at the weather stations only 20” has been measured. Most other areas received about half that amount. Skiers at Fairy Lake in the northern Bridger Range reported vicious, snow-scraping winds yesterday (video). With a lot of new snow in the higher elevations wind drifts will be thick, rubbery (from the warmer temperatures), and likely stubborn to trigger, but not impossible. Areas throughout southwest Montana that got new snow and wind are suspect to avalanching with a skier or rider. As the mountains transition from fall to winter snow conditions and stability can change faster than we might expect. For today, avoid wind drifted slopes which will be found at all elevations and especially near ridgelines. We are not issuing danger ratings until we begin daily avalanche forecasts. If you plan on skiing or riding in avalanche terrain, I recommend digging a quick pit to the ground and testing the layers. It’s good practice and will yield valuable information as this snow is the foundation that may or may not support the next 5 months of snowfall. Backcountry travel precautions require extra thought this time of year. We may forget to bring a beacon, or think that traveling solo is fine because there’s not much snow on the ground. Our safety protocol should be a ritual, no matter the time of year: a beacon with strong alkaline batteries, a shovel and probe that can be smoothly assembled, and of course, a partner with the same equipment. Equipment is dead weight unless we are practiced using it. If you get outside send us an observation via our website, email (mtavalanche@gmail.com), phone (406-587-6984), or Instagram (#gnfacobs). 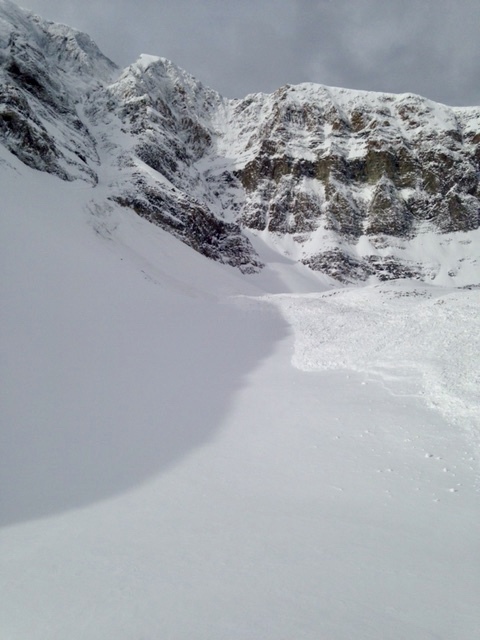 To prepare yourself for a safe winter in the backcountry you can read this accident report from October 2012 in the northern Bridger Range, and plan to attend one of our avalanche education courses listed HERE. This avalanche was observed on the morning of Friday 11/2.